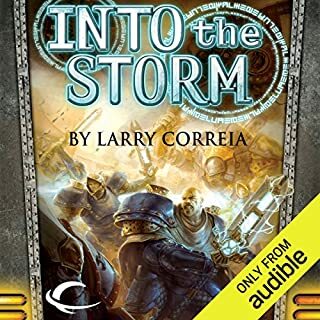 ©2016 Larry Correia (P)2016 Audible, Inc. This is the funniest thing I've heard in years, and Adam Baldwin's performance only makes it better. His mastery of the Manatee language is unparalleled. Now if you'll excuse me, I'm going to listen to it again. I just finished listening to this and am not quite sure what hit me. Larry Correia has invented the most unlikely hero ever: an insurance agent dedicated to satisfying his customers' insurance needs because poor customer service is the ultimate sin. If you can suspend your disbelief and wrap your mind around THAT wild idea, you are in for an equally wild ride. Garfield the Cat is a Dark God, Bear Grylls is a metric, Chuck Norris is a KickA** Arbiter and Terminators are people too. Many of our favorite sci-fi heroes and shows make cameo appearances, including the author himself. Of course the hero has his burden to bear: the intern with the gender-studies degree. But Tom Stranger carries on with panache. Adam Baldwin was terrific. You need to listen to this. Now. Yes, it is the second funniest thing ever after that killer joke from Monty Python! It is totally ridiculous and hilarious. As a devotee of comedy of the absurd I immensely enjoyed both the story and Mr. Baldwin's reading. What was one of the most memorable moments of Free: The Adventures of Tom Stranger, Interdimensional Insurance Agent? R. Lee Ermy as the secretary of defense! 'Nuff said! Have you listened to any of Adam Baldwin’s other performances before? How does this one compare? No, but he does a fantastic job. Buy it now and laugh until you cry! The writing is funny enough but Baldwin puts it over the top. Lots of fun. Two Hours of Gut Busting Laughs! I LOVED this story; it was freaking HILARIOUS! Not only was this story creative, fun to listen too, and full of interesting characters, I could actually relate it! I work for one of the largest insurance companies where the claims department is one on end of the building, and the call center is on the opposite side and I'm in the middle. While I do love my job, the next time I'm having a bad day, I putting on my headphones, turning The Adventures of Tom Stranger, and just going laugh it off! Adam Baldwin's narration was over the top AWESOME! He really animated this story and I loved his performance! Thank you for Larry for such a great story! Strange in all the right ways. 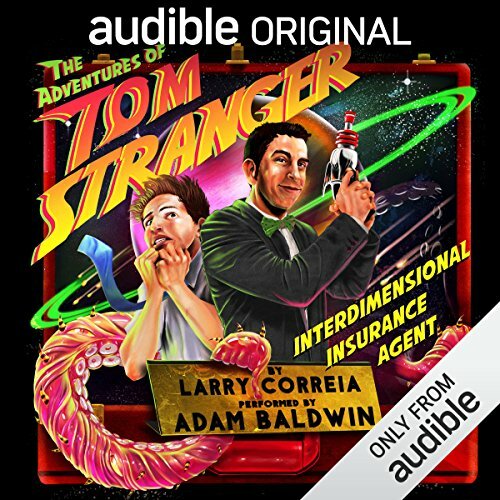 Would you listen to Free: The Adventures of Tom Stranger, Interdimensional Insurance Agent again? Why? This story deserves more than one listening. This is one of those fun romps that you absolutely should share with friends over the course of an evening. Adam Baldwin does an amazing job portraying the wacky and weird setting. President Adam Baldwin from the alternate Earth was hilariously funny - and, in true Firefly spirit, Larry Correia poked fun at the "people" at Fox who decided to cancel the series. Even Jayne's hat makes an appearance. What about Adam Baldwin’s performance did you like? The voices and mannerisms made it clear who he was imitating for the real world people, and gave all the other characters a distinct personality that exemplified who they are - sniveling and whiny for Jeff Conundrum, to the stoic and never hasty Tom Stranger, to his rather funny channeling of Shaggy from Scooby Doo for Tom's over his head and inept accidental intern. I absolutely listened through this book in one sitting. It started off captivating, and did not disappoint. If you buy this book, stop listening about 10 mins away before the end. It was funny, it was amusing, I laughed several times, I was enjoying it, and then for some inexplicable reason the author decided it was time for an un-funny terribly awkwardly forced political sledgehammer moment that dragged on longer than an inappropriate cell phone ringtone in church. I’d give it 5 stars if i could excise that moment. Try not to laugh, I dare you. Everything about this is funny. I spent the whole book laughing and trying not to smile. I got this free as a pre-order and would have gladly paid for it. If you want a totally wahoo sci-fi short story go ahead and get this one. Easily the funniest, most irreverent story I've ever heard. Two hours of non-stop laughter. Which character – as performed by Adam Baldwin – was your favorite? 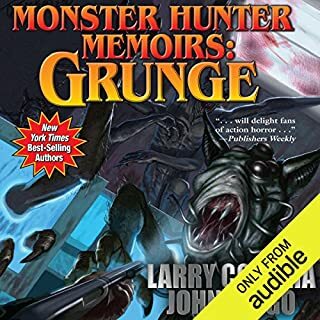 Larry Correia irreverently and hysterically mocks everything and everyone - including himself - from all known universes. Fair warning: your sides will ache from laughing so hard. So having listened to some pretty heavy sci-fi recently i really needed someone lighter to listen to and this appeared so i though i would give it a try. I was hooked from the start. Its very very very funny on a lot of levels and you really dont need to plug your brain in to listen. Not that its not clever. 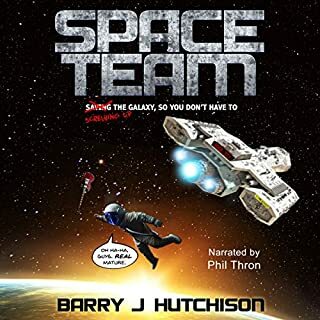 I would recommend this for anyone who likes things likes things like Hitchhiker Guide to the Galaxy or Any of the Jim Butcher books. Superb Laugh Out Loud High-Speed, Utter Absurdity! This one does exactly what it says on the tin, if you like the sound of the publisher’s blurb you are going to love it. Inter-space hi jinks and an insurance agent super hero. The humour is constant. The opening scenes had me laughing from the get go and the laughter continued with impressively high frequency for the whole two hours. If you get this kind of humour then it’s great fun and Master Correia drags in many well-known personalities and even finds time to poke fun at himself in a variety of ways. One person that definitely gets the humour is Adam Baldwin who gives it the full Scooby Doo and no mistake! Nothing is sacred, most of Europe and Asia is gone within the first ten minutes and everyone from John Wayne to a Balrog gets dragged in during this all-too-brief adventure. The Balrog’s “predicament” I found seriously funny along with the help system on the Combat Wombat! On top of all that it’s free, at least for now! What can possibly go wrong? If you want a laugh just get it. The only people I wouldn’t recommend this to are call centre managers . . . Almost goon show levels of surreal humour. Highly enjoyable reading by President Baldwin. Do not miss this gem. 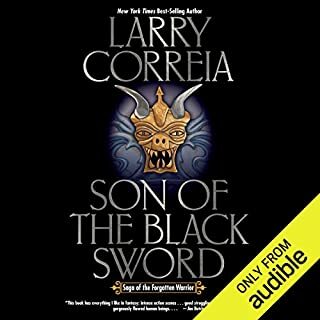 Choose to listen to this to get a break from the usual Fantasy and Sci-Fi epics that are my usual ear food. I wasn't disappointed, it's great fun with a lot off nerdy humour that fits me perfectly. A bit short though, but well worth the modest price. Short, enjoyable and funny. Larry get himself into his own book. Very wacky. Hope he does some more and make it into a new series. Very funny and well written. Narrated perfectly. Not long though. Would like to hear a sequel. 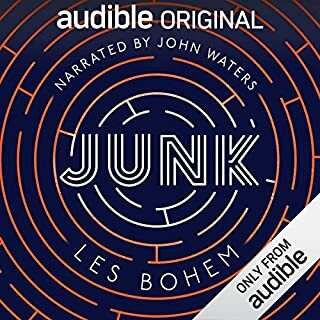 Picked this up as a fast and cheap Audible original but although the humour was delivered quickly, it never really made me laugh; it seems it isn't really my thing. It's very silly and the narration from Adam Baldwin is brilliant (earning it an extra star) but ultimately this goes down as a bit of a disappointment. 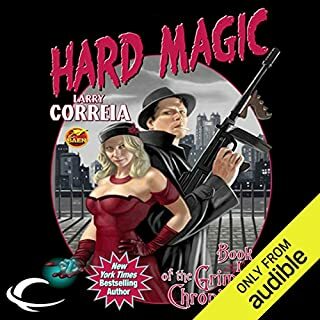 Larry Correia has outdone himself with this hysterically funny short story but Adam Baldwin steals the show, with his narration! Loved the humor, but the story/plot lost my interest for a bit in the middle. Did draw me back with referencing MHI, fans and concealed weapons. Very entertaining! I love the pop culture references - especially Firefly! I bought it mostly to listen to Adam, and I was not disappointed at all! will there be a sequel? excellent story, loved his use of pop culture references. really enjoyed it. lol! the story was good and the performance was excellent! really loved it! The story is a bit infantile, but still fun the way through. Adam Baldwin's performance is the real highlight, and worth the 2 hours. He really brings the story to life...every multiverse!! I started listening to this at work, had to stop after 15 minutes so I could save it for the rest of the family on the next car trip. Gales of laughter for the entire time. Very enjoyable...good characters and story line.. who would think insurance could be so entertaining. wonderfully performed by narrator.